WHAT THE WORLD NEEDS.... LESS PRODUCTS! were part of the DIY alternative music scene which maintained the punk ethos in the late 1970s and early 1980s. It could be said that the real punk groups are the ones you've never hear of and you've probably not heard of us. decided to launch a (jazz funk) band with the same name. We were based in Colchester which is in Essex, England. We tried to change the way music was distributed, organising compilations and putting groups in touch with each other. Among many others, we worked with : Instant Automatons Colin Potter Digital Dinosaurs . Critics (and fans) were often confused by the fact that we never settled on a single musical style. Why should we? Most of our releases were on cassette, distributed by ourselves and through Rough Trade . These are now hard to find and very expensive. We intend to release a compilation CD in 2010. 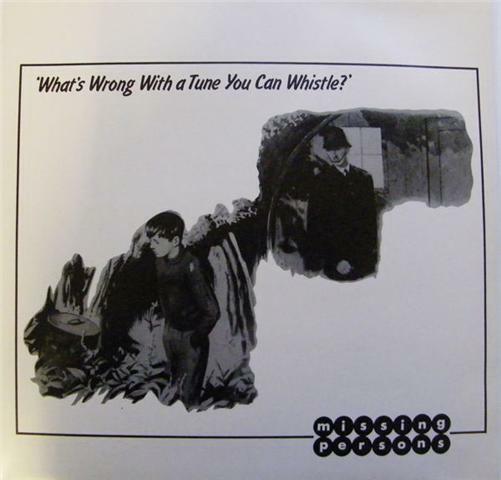 One vinyl album : "What's Wrong With A Tune You Can Whistle?" (Less 001) is now sold out. The above records are available on CD from : waterden records . Original vinyl copies sometimes sell for silly prices on eBay . This compilation CD features 1 track by Missing Persons. Mark Kelly BIOGRAPHY includes possible influences and definite favourites.